We are an established Havant & Waterlooville garage security locksmith company working in and around the local area. We provide a full and cost effective 24 hour emergency service for those who require entry into their garage. Please contact us on Tel: 02393 666815 for an immediate response. We can provide key replacement for lost and broken keys and full non-destructive garage entry services. We are recognised by our quality of service and also our affordable prices. Access to all types of garage door is possible. Up and over garage doors unfortunately are a target for thieves, here at Havant & Waterlooville Locksmiths we offer a supply and fit service to these doors. We recommend to fit high security bolts to the inside of your garage which solid steel bolt through both sides of the frames. These are a neat security solution which will put potential thieves off. Even though these are supplied with triple sided high security keys we can get you extras cut please ask when calling. Most garage security can be quoted over the phone so please call for free advice and quotation. If your keys are locked in your garage we can retrieve them without any damage. We replace lost or stolen keys. Our vans have all the necessary equipment to get you back up and running with your day! • Lost your garage keys or had them stolen? • Do you need your broken key repaired? • Are your garage door locks damaged? Our Havant locksmiths service extends from lost keys to spare keys, making new keys or by picking and decoding your door locks. Our engineers are well-equipped and knowledgeable, and can often do what many other local locksmiths cannot. 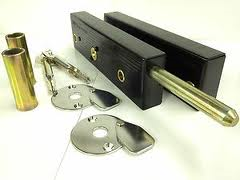 Domestic and commercial locksmiths in Havant & Waterlooville. No call-out charge and reduced rates for students and OAP’s. 24/7/365 emergency response service.